Soil Sample Information Form (PDF) – I will have soil test results from the purchased soil for anyone interested, though it won’t be tested by TAMU’s soil lab. Vegetable Varieties for Harris County (PDF) – The number following each variety is the “Days to Harvest”. Vegetable Planting Dates for Harris County (PDF) – This is the graphical chart that shows the marginal and ideal planting times for a range of vegetables in Harris County. In addition to the handouts from the class, there are many more resources available from the Texas Agrilife Extension office on propagation, growing vegetables and herbs and general horticultural topics. There are also several upcoming events hosted by the Harris County Master Gardeners: Tomato & Pepper Sale (Feb 25, Bear Creek Office) and the Precinct 2 Spring Sale (March 3, Pasadena Fairgrounds). 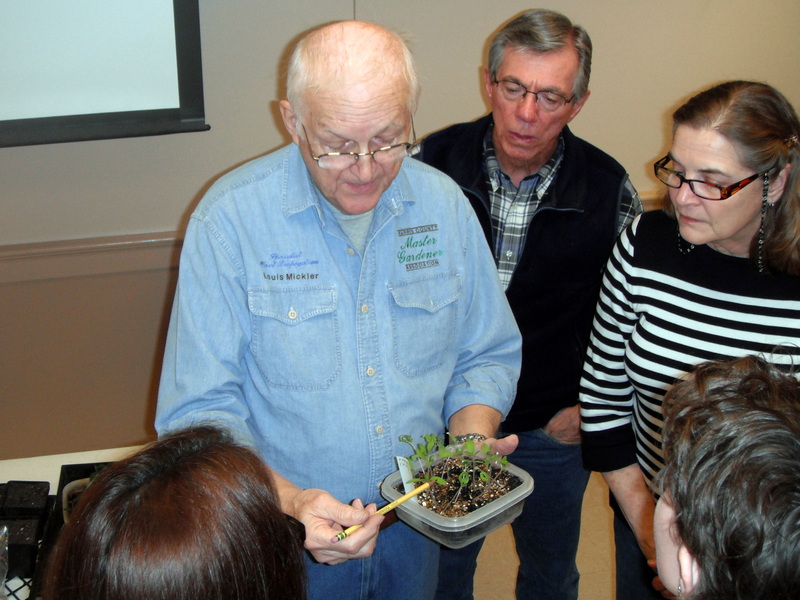 And for folks who want a class which covers more about vegetable gardening, Louis Mickler will be presenting “Growing Spring Vegetables” at the Green Thumb Lecture Series on Tuesday, February 14th at 6:30 pm in Clear Lake Park.